9 out of 10 B2B companies are creating content. Yet they often don’t see the return they desire. How can companies get the most out of their content marketing efforts? 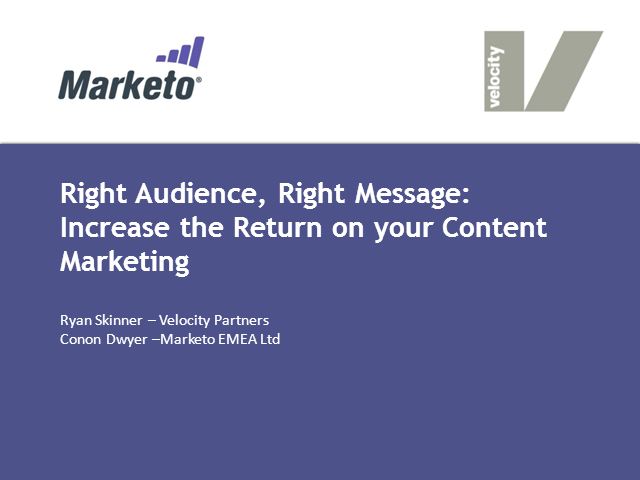 In this webinar, Conor Dwyer from Marketo will discuss best practices for creating and promoting your content.